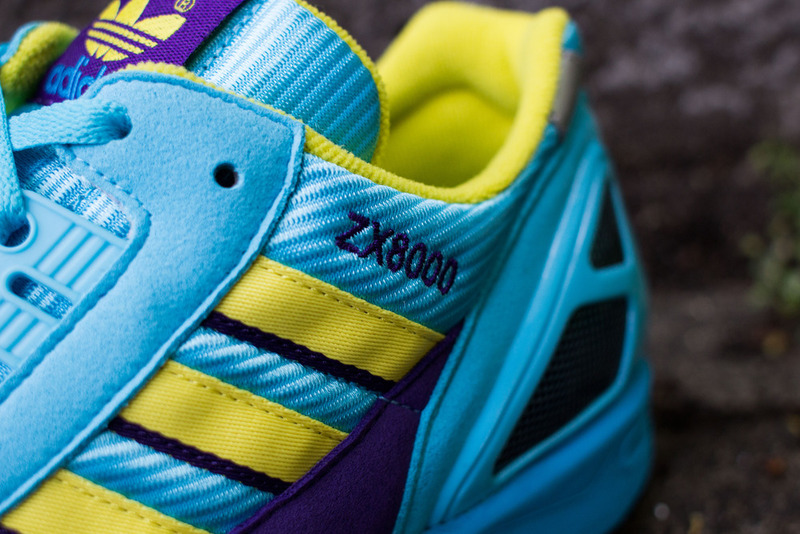 First released back in 1989, the ZX8000 has now been re-released from the adidas archive in its original colourway as part of the collaboration series. 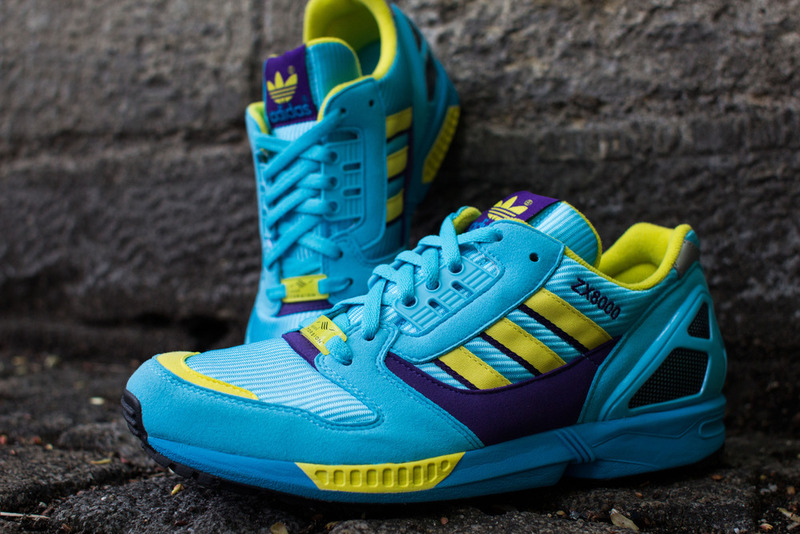 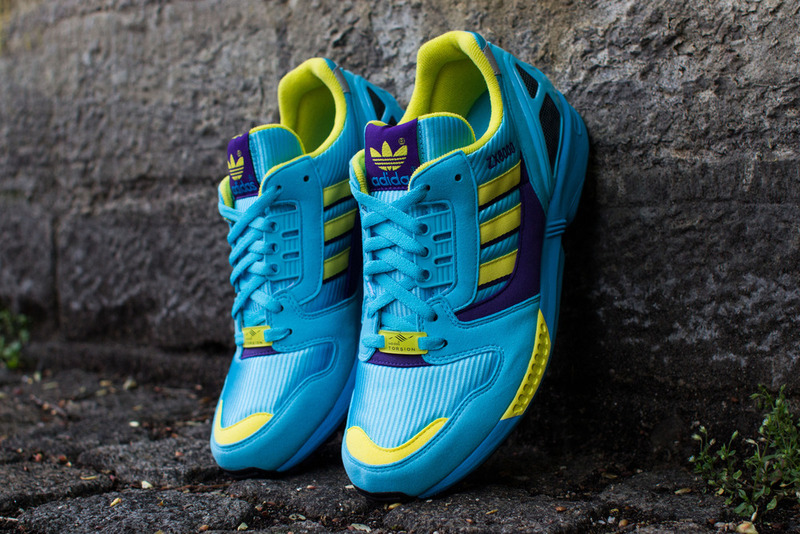 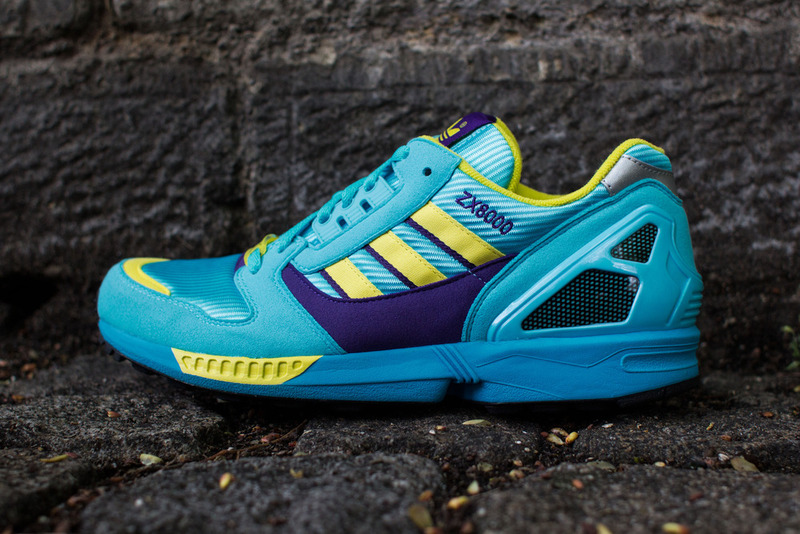 Presented in an aqua blue textile upper with lemon peel three stripe branding to the side, a lemon peel inner and toe patch along with violet detailing throughout. Featuring a tonal aqua blue heel brace for extra support, a futuristic looking two tone Monza F1 sole unit, ghilly lace system and the trademark torsion system in the sole unit for extra stability. 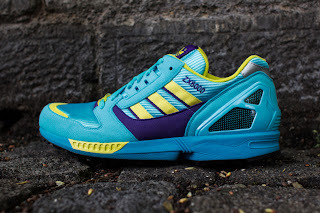 The shoe is finished with a violet woven brand tab to the tongue, embroidered ZX8000 detailing in voilet to the side wall, tonal aqua laces and a lemon peel adidas torsion lace lock.